You’ve decided to build; now it’s time to consider “how?”. To deliver a quality construction project on time and on budget, you must successfully coordinate the efforts of the Owner, Architect and General Contractor in an accepted and appropriate contract form. There are three basic project delivery methods: Design/Bid/Build, Construction Management, and Design/Build. Each method has its own advantages and disadvantages, and some methods are better suited for certain kinds of projects than others. This method usually starts with the Owner selecting and entering into a contract with an Architect or other design professional. The Architect fully develops the design and creates “bid documents” that are then made available to general contractors for competitive bids. The bid process can either be an open bid or by invitation. Once a suitable Contractor is selected, the Owner and Contractor execute a separate contract to build. The Contractor, in turn, engages subcontractors and suppliers to perform the work. 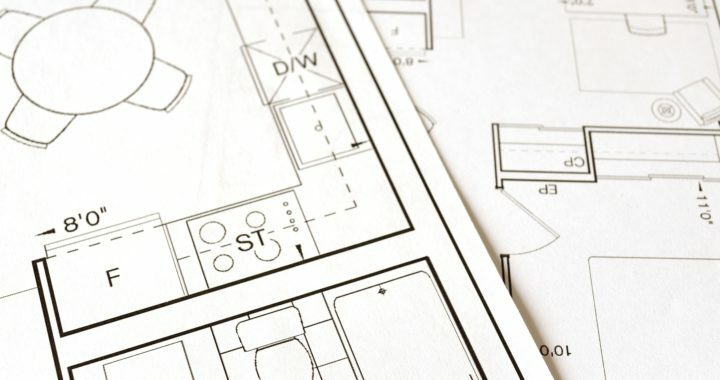 The Design/Bid/Build approach is best when the Owner wishes to be actively involved in the design process, requires a fixed cost before commencement of construction, and has sufficient time to permit the design to be fully completed before construction bids are obtained. This method is often used for very large, complex projects. Since the design is fully developed, an “apples to apples” comparison of multiple bids can be made. One variation of the Design/Bid/Build method is to secure the services of a Construction Manager. A Construction Manager At-Risk may be used instead of bidding the project to General Contractors. An Agency Construction Manager acts as an advisor to the client. It is important to understand the “risk shift” inherent in these two Construction Management methods. The delivery method referred to as Construction Manager – Agency or CM (Agency) is a fee-based service in which the CM (Agency) acts as the Owner’s representative during each stage of the project. The CM (Agency) is the Owner’s trusted construction expert who advises the Owner and acts as a “go to” person for all aspects of the project including design, constructability, value-engineering, scheduling, negotiations with Architect and Contractors, and qualification of design professionals, Contractors and subcontractors. It is important to note that the CM (Agency) is an advisor, but is not accountable for schedule and budget and that the Owner enters into the trade contracts, not the CM (Agency). Depending on how the contract is structured, the CM (Agency) may be compensated for some general condition items. This agreement places the majority of the risk during construction on the shoulders of the Owner. In the Design/Build method, the Owner contracts with a single entity to provide both the design and construction of the building. The intent of the Design/Build form of construction is to foster teamwork between the Architect and the Contractor early in the project and facilitate early budgeting, programming, and financing. It also promotes review of the design as it proceeds for constructability and cost of construction. Well-suited for fast-track construction, design/build projects are often more cost-effective and less susceptible to delays in the work than traditional projects. Perhaps the greatest advantage for the Owner is that the Owner only has to look to one party for the design and the construction. If a problem arises, the Design/Builder is responsible, whether it is a design or construction issue. Because the Architect and the Contractor are on the same team, many Owners observe a reduction in disputes, and insurance companies have noted a reduction in claims with Design/Build projects. While other less proven delivery methods exist, the three methods described above are most typical. Standard, proven contracts prepared by Association of General Contractors (AGC) and American Institute of Architects (AIA) are available for any of these delivery methods. For further information about the best delivery method for your construction project, contact us at www.van-con.com or 800-216-8696. ← Light Years of Change: Are You Ready?